As you grow older, the fluid contained within the chambers of your eyes may gradually and imperceptibly increase. This has been shown to contribute to a host of unwanted age-related vision issues encountered by millions of aging Americans. In a significant scientific advance, researchers have found that a proprietary blend widely available in Europe called Mirtogenol® may effectively support eye pressure already within healthy range as you age. At the core of Mirtogenol®’s eye health-promoting power are two standardized, proprietary phytonutrient (plant-based) compounds: Mirtoselect® European bilberry extract and Pycnogenol® French Maritime Pine bark extract. In a 2010 human study, Mirtogenol® induced up to a 24% reduction in already-healthy eye pressure and extracts of French Maritime Pine bark and bilberry have long been shown to promote healthy blood flow in multiple areas of the body. Eye Pressure Support with Mirtogenol®, by Life Extension Foundation, may support healthy blood flow within the tiny vessels (microvasculature) of your eyes, helping to promote healthy fluid pressure inside the ocular chamber. Ingredients: (per serving) Mirtogenol® [Mirtoselect® European Bilberry (Vaccinium myrtillus L.) extract (fruit) and Pycnogenol® Dried French Maritime Pine (Pinus pinaster) extract (bark)] -- 120 mg.
Mirtogenol® is a registered trademark of Horphag Research, Ltd. Mirtoselect® is a registered trademark of Indena, S.p.A., Milan, Italy. Pycnogenol® is a registered trademark of Horphag Research, Ltd. Pycnogenol® is protected by U.S. patents #5,720,956 and #6,372,266 and other international patents. 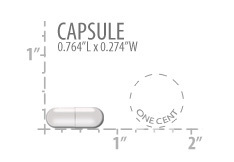 Recommended Use: Take one (1) capsule daily in the morning with food, or as recommended by a healthcare practitioner. If needed, take one (1) additional capsule in the evening with food.